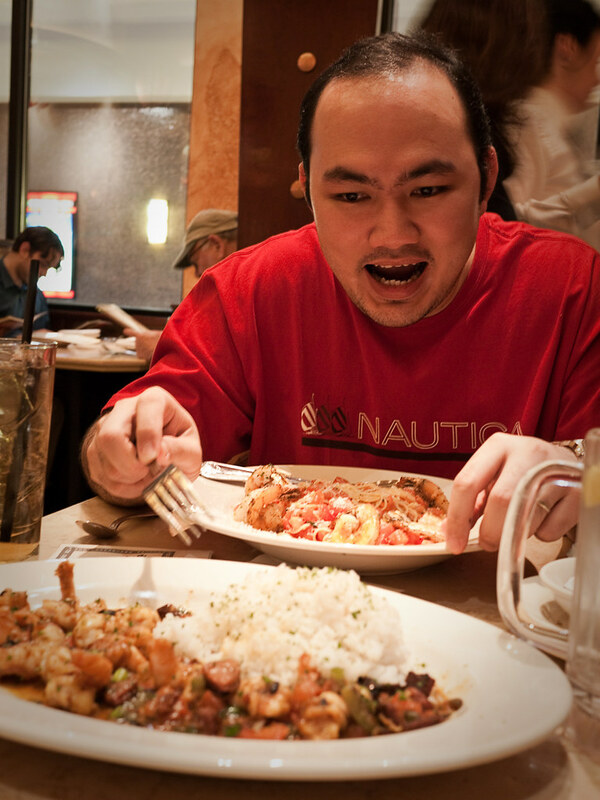 A couple of weeks ago, we went to one of our favorite restaurants here in Albany, NY. 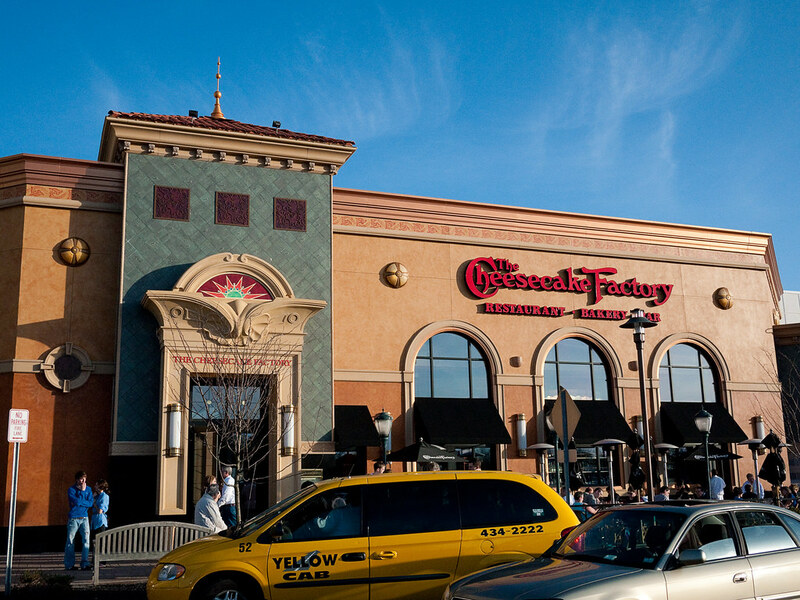 The Cheesecake Factory is one of the most recognizable "landmarks" nearby, located in the Colonie Center you really can't miss the colorful facade not to mention the Huge sign that says that you are in for a cheesecake treat when you enter. 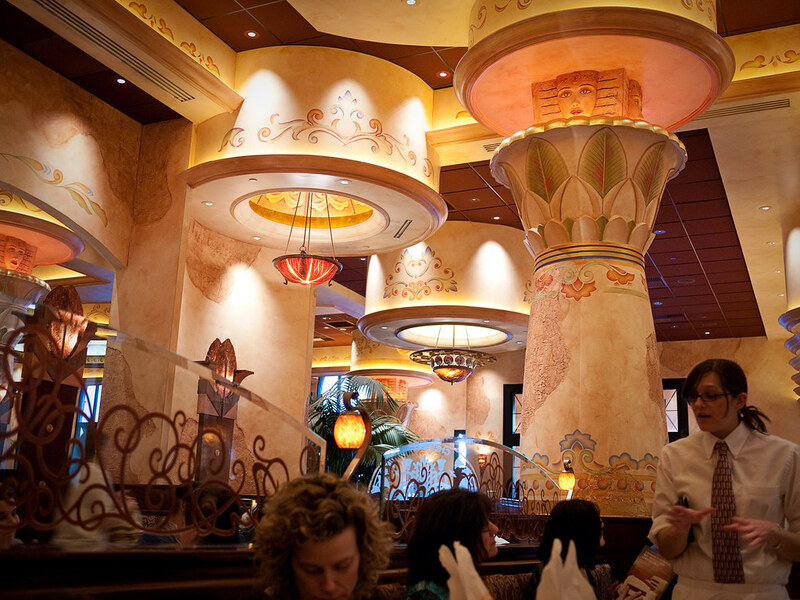 The Cheesecake Factory has a very rich history, dating since the 1940's, when the original cheesecake recipe was created (You can read the whole story here). The place is spacious but can get really full when you come in during peak hours. We waited for 10-15 minutes before we were seated but during peak and especially holidays, it can get to be as bad as a 60-90 minute wait so plan ahead because it is really worth it. As soon as you enter, you sign up in the middle counter and they give you one of the beepers if there's a lot of customers. The beeper. This gadget will light-up and vibrate when they're ready for you. The famous Menu. It's 20 pages thick and it can get really confusing if it's your first time ordering. Take your time and browse through the selection. 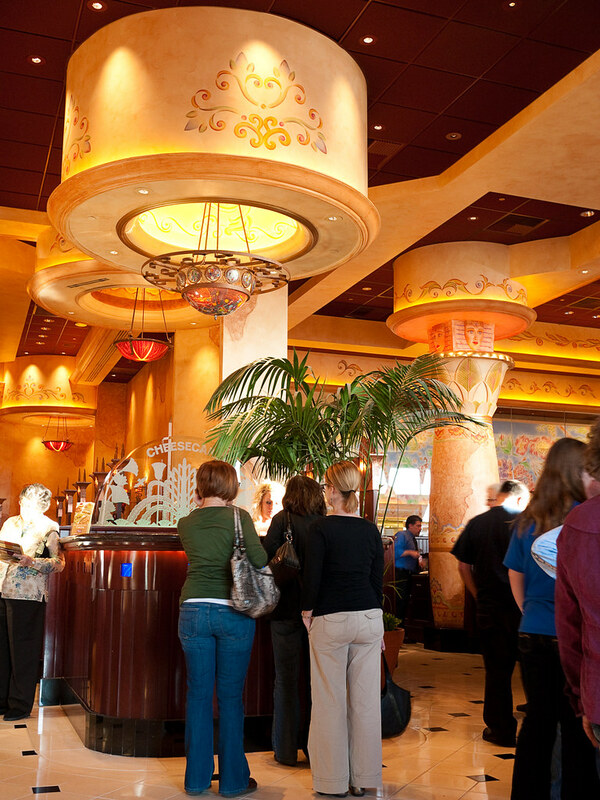 The wait staff is also a great resource for entrée suggestions so don't be shy to ask. You can view the entire menu here (pdf warning). 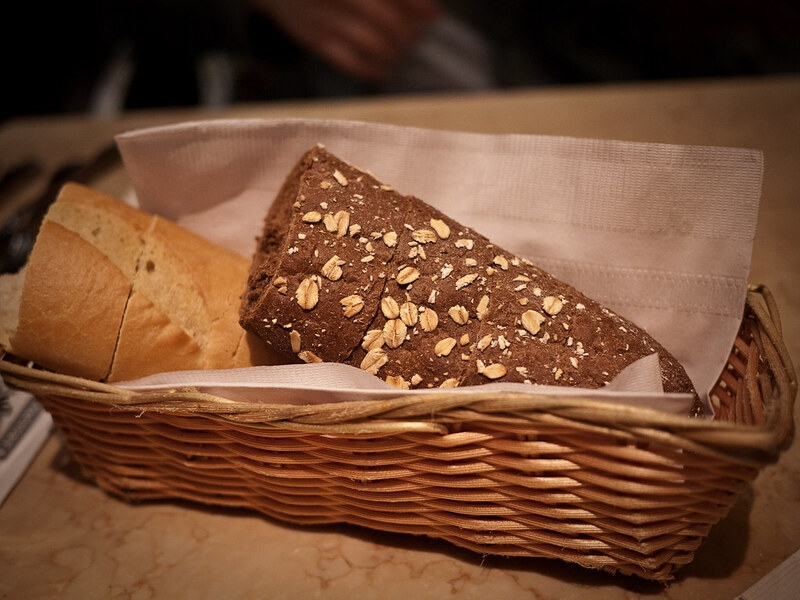 After you've chosen, they give you some fresh bread and butter to tide you over. 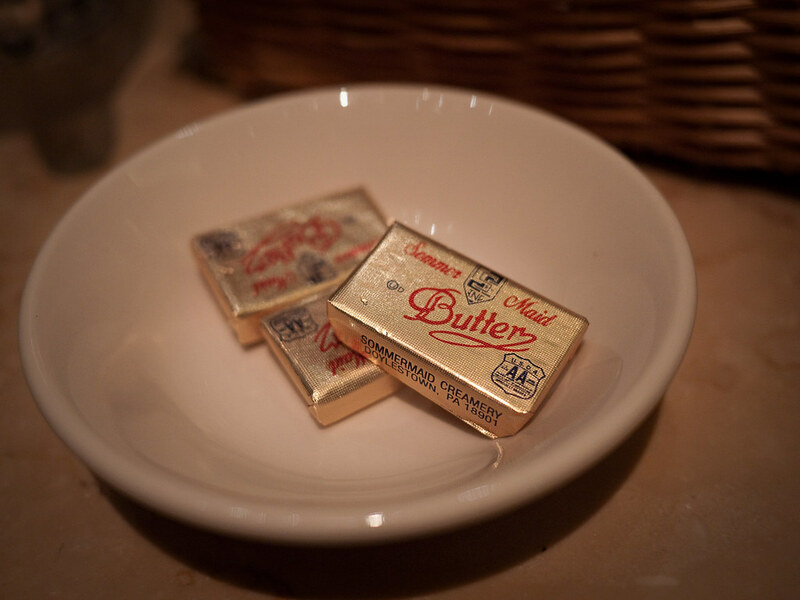 We love the butter that comes with the bread! Can't seem to find any good quality butter in the groceries over here. Any suggestions? 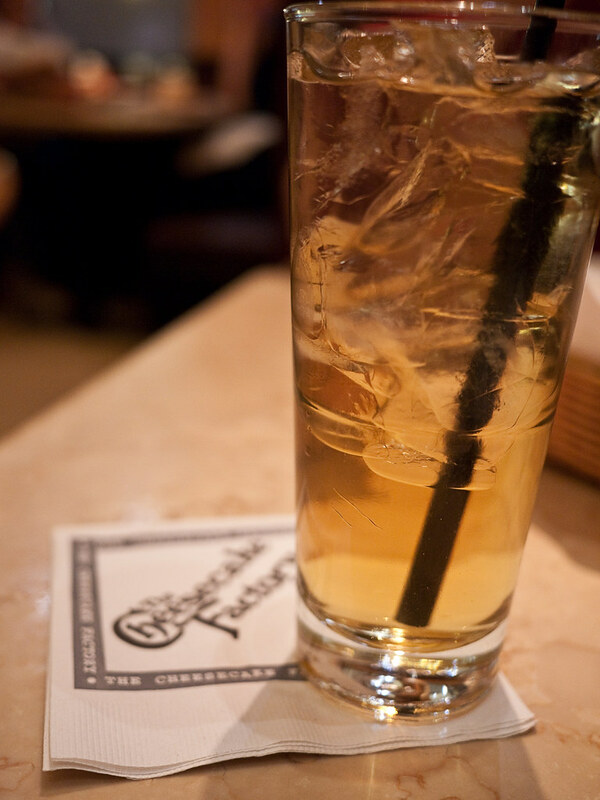 I always order the Iced Green tea, which has a refreshing mint flavor. Tastes a whole lot like Starbuck's iced green tea. The ambiance and the interior is amazing. There's a lot of columns, murals and Egyptian head "thingies" going on. Where's our food?! 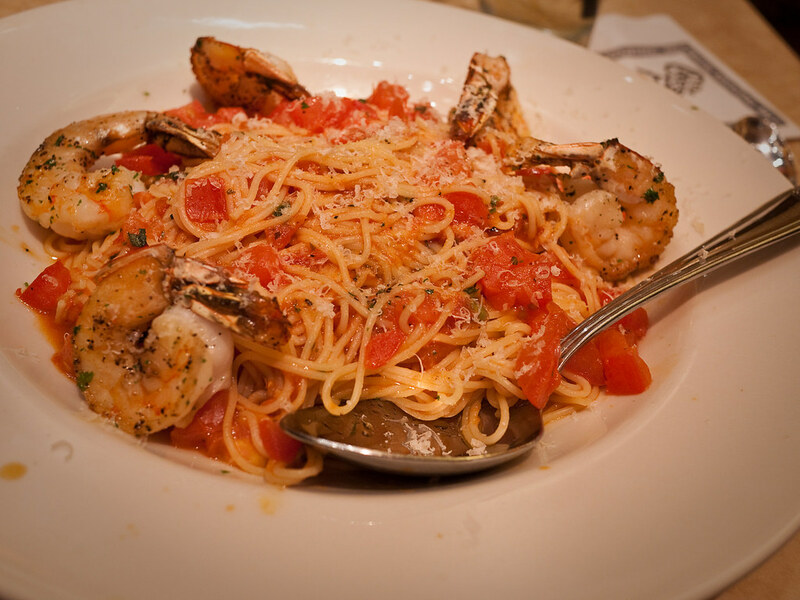 If it's a busy night, be prepared to wait 15-20 minutes more for your grub. Finally. Time to eat! Attacking the wife's dish before mine.. Yumm! 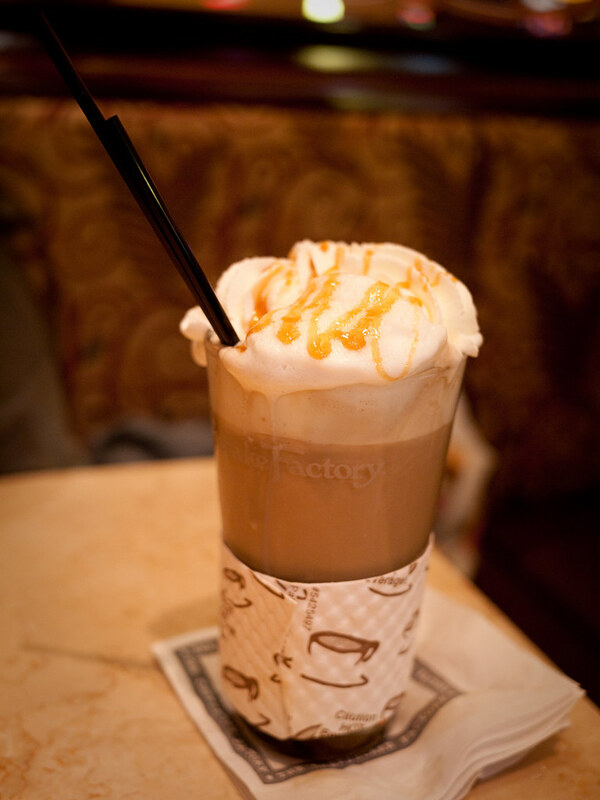 Caramel Royale Macchiato. Double Espresso, Hot Caramel, Vanilla and Steamed Milk. Need i say more? 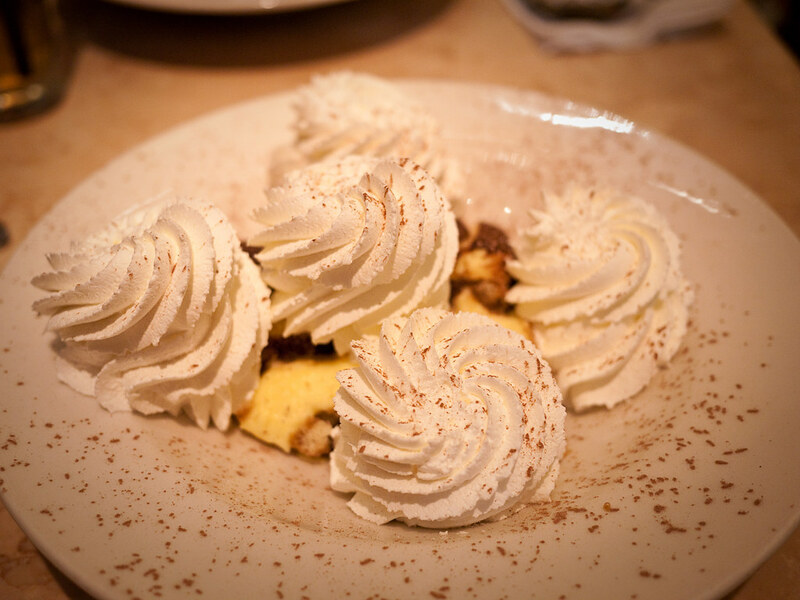 Tiramisu or Whipped Cream with a little bit of tiramisu in the bottom. Loved this dessert but there was too much whipped cream on the top. 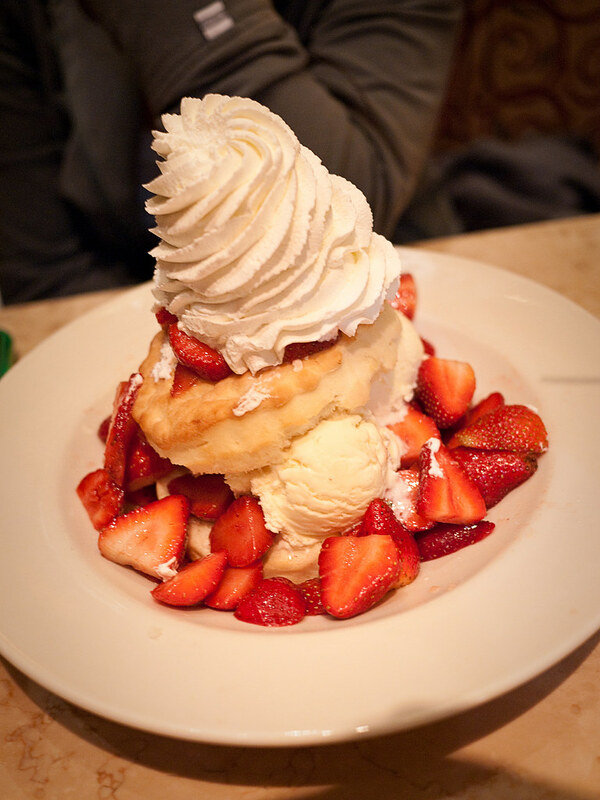 Fresh Strawberry Shortcake. Lots of fresh strawberries! 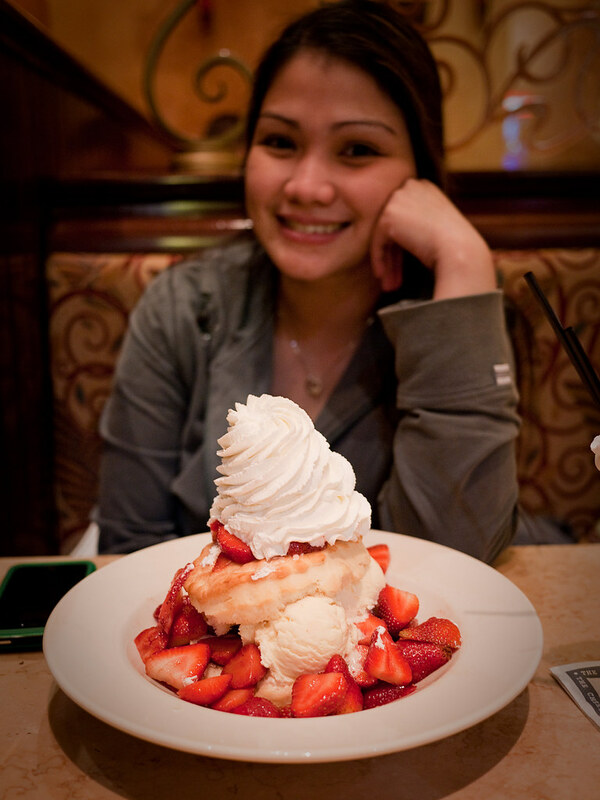 Good enough for 2 people but the shortcake was a bit dry for our taste but still good and refreshing. This is what's left of the tiramisu. 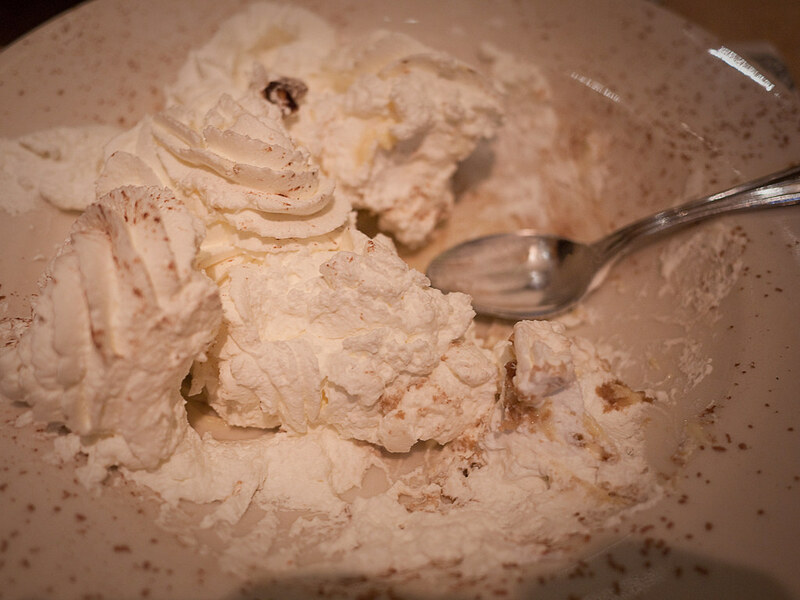 Still half a plate full of whipped cream! But i still loved the tiramisu. 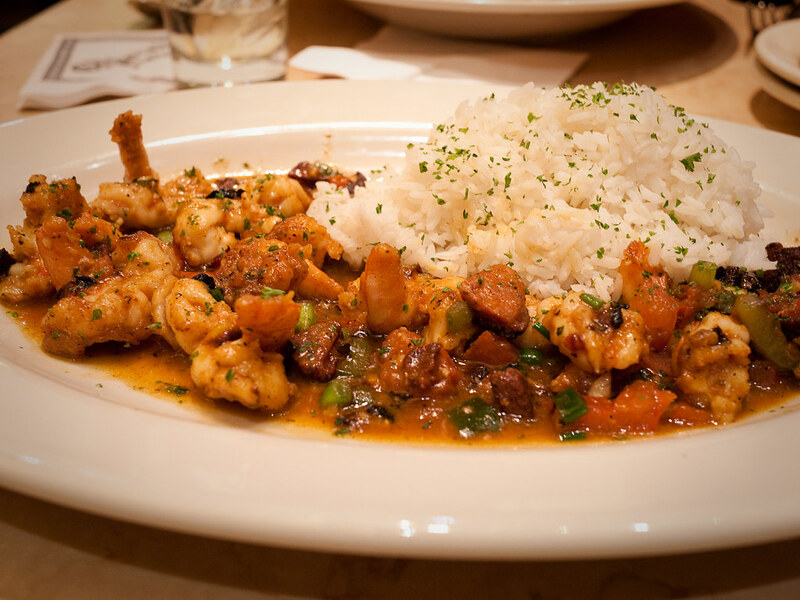 The Cheesecake Factory is still one of our favorite places to eat. We have just barely scratched the surface when it comes to their menu but all in all will recommend this to everybody to try at least once. 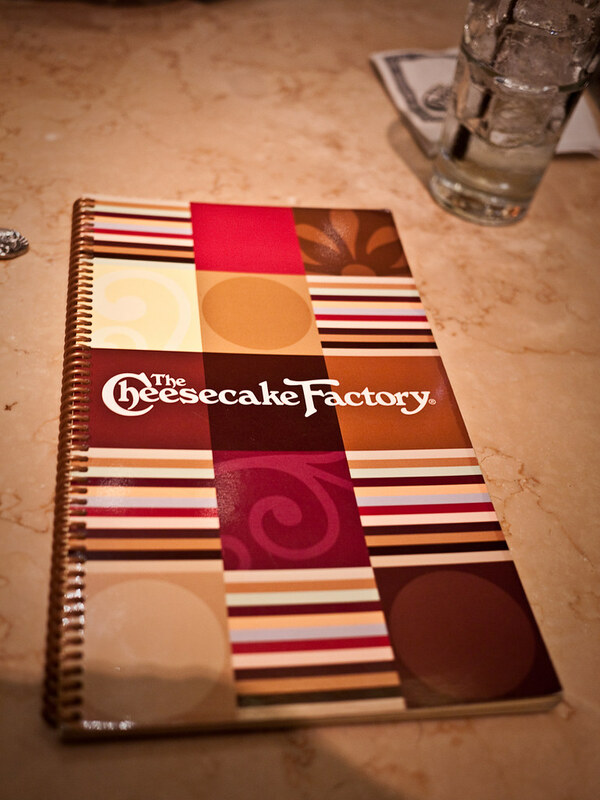 Looking for the nearest Cheesecake Factory?